'Optimised Nitriding' is a highly controlled Gas Nitriding treatment for alloy steels, which is capable of meeting all the requirements of traditional Nitriding processes. 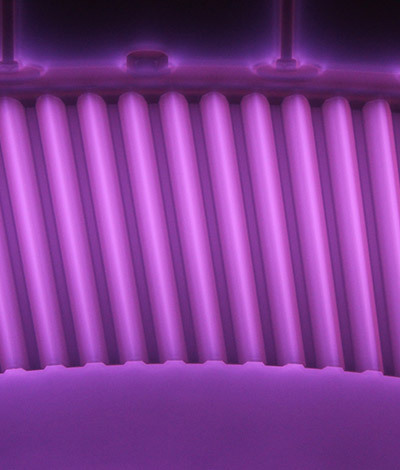 From controlling the temperature, time and atmosphere extremely carefully, the Nitriding Potential in the furnace atmosphere is controlled - and therefore the concentration of nitrogen in the surface, allows very accurate control of the growth of the hard surface compound layer. One reason to use this type of surface treatment optimisation is to control the white layer of the metal or steel alloy. By using 'Optimised Nitriding - delivering metal hardening, over traditional Nitriding methods such as gas or salt bath it is possible to improve on the nitriding specification requirements to produce a surface compound layer with more controlled properties and thickness. Nitriding is a key component in the heat treatment of steel. This advanced Nitriding technology delivers accurate control over the Nitriding process and provides excellent repeatability of results. Previously, long cycle times and brittle compound layers have held back the use of Nitriding as a surface hardening treatment. The advanced process control offered at Hauck HT has overcome these issues providing more rapid furnace cycles and excellent control over the compound layer, its form and thickness. Hardening of metals such as EN19, EN 24 and inconel is normal for our services. For oil and gas industries many of components critical are treated in order that excellent performance in the field is generated.